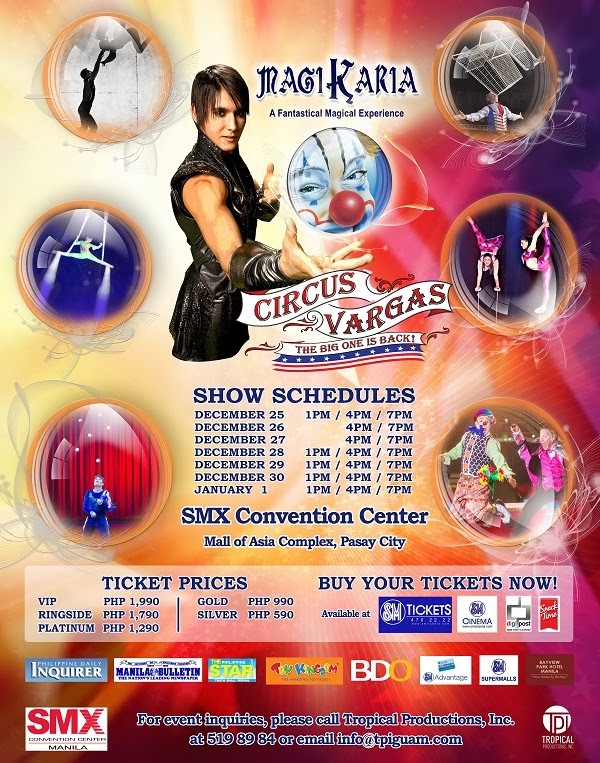 The magic of Christmas will be even more captivating – and jaw-dropping – with the arrival in Manila of the internationally acclaimed Circus Vargas troupe, one of the world’s biggest traveling circuses. This amazing production will feature the astonishing athleticism, physical beauty and acrobatic prowess of the men, women and children of the circus, promising to deliver the same immense joy and excitement already experienced by millions of people worldwide. I will do a post about the show afterwards so I can share with you my experience. But it will be more fun if you will watch it live too! Hope to see you there then? Have a great day!